Garage doors will not function properly due to several reasons. your garage door is an important part of your house and must be repair in a reliable and safe way . Since it is a moving device, there are parts of the garage door that need to be replaced due to wear and tear, or internal damage. If you are asking yourself which garage door repair near me is open at any point of the day? and local? Take garage door repair Houston, 24-7 Garage Doors, we are open 24 hours a day 7 days a week 365 days a year! Do you want to know what kind of repair we do here at 24-7 Garage Doors? Well it covers the following: first, we repair or replace any garage door broken springs. Garage door springs are either torsion springs which are attached to the garage door or extension springs, which are on the upper tracks. Repairs also including Door off track, roller replacement, hinges, cables and more. Garage Door repair are very common. Majority households now have garage doors and garage door openers, many people are now in need of reputable garage door repair services companies. Since garage door parts are specialized hardware, it is important that only professionals who are sufficiently trained handle the fixing and replacement of these parts. Garage door repair Houston cover a lot of services, but the most common repairs are garage door spring replacement, door off track and panel replacement . We have already mentioned that garage doors have two types of springs: the torsion spring and extension springs. One thing to remember about handling springs is that it should not be handled by untrained individuals. Springs are materials that have high tension. If not handled properly, people might get seriously hurt. 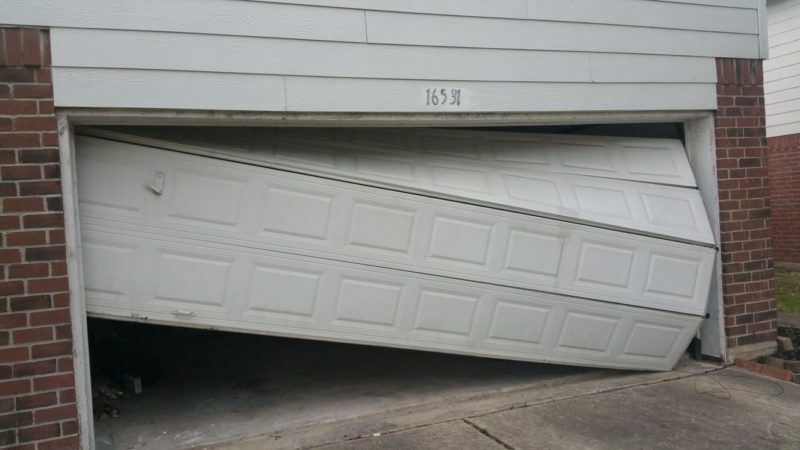 Your garage door may stop functioning completely and fall out off track. In this case its extremely dangerous and must be repaired by a professional. Garage door off track can be cause by multiple reasons, the most common reasons are the tension on the springs wasn’t strong enough and something was interrupting the door from going up and down. Over the years, the panels on your garage door will begin to get worn out, and will crack, bend or break. This is something that we you can’t prevent from happening because the garage door panels are often exposed to different kinds of weather. 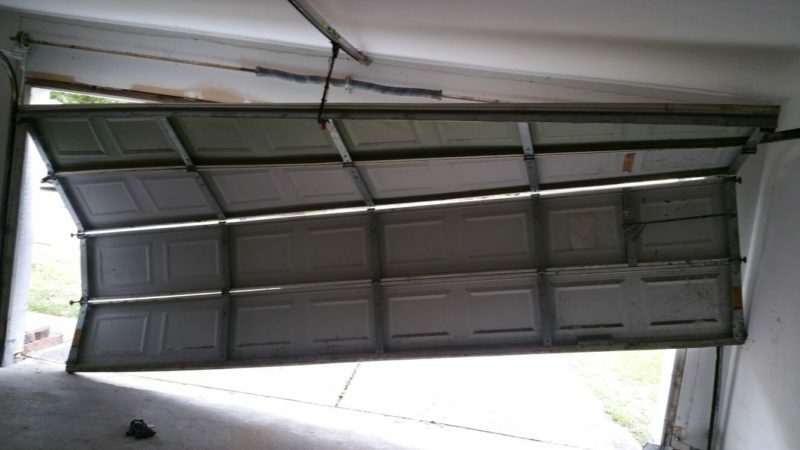 If the panels are not replaced right away and this problem is ignored, it may lead to your garage door being misaligned. Sometimes, it may even lead to other serious issues. Some owners think that a broken panel can be ignored because it is not an internal concern. However, a broken panel may potentially lead to other internal breakdowns, so you need to address it at the soonest possible time.